Rev. Walrond, who is also affectionately known by the congregation as Pastor Mike, serves as the leader, pastor and teacher to the “ever evolving community of visionaries & dreamers” at First Corinthian Baptist Church. Within two years of his leadership at FCBC, the church experienced a tremendous amount of growth, inevitably necessitating the addition of a second service. Over the past eight years, membership at FCBC has grown from three hundred and fifty disciples to over seven thousand, and has led to the creation of several new ministries and initiatives. Pastor Mike’s vision for discipleship, wholeness, and community wellness has launched vision teams including- HEALED HIV/AIDS Ministry, Social Justice, DTV Drama, Clothing, Celebrate Life Recovery Ministries, and Business and Culinary Arts Vision Teams. The dynamic preaching, teaching and discipleship of Pastor Mike led to the need for additional services: a third worship service on Sundays, and Freestyle Fridays, a service that celebrates the art of improvisation and creativity. Pastor Mike’s foresight and passion for the Harlem community shaped the vision for the FCBC Dream Center, a transformative space designed to awaken the dreams of the community through leadership development, arts enrichment, and economic empowerment. Rev. Walrond currently serves as a board member of the National Action Network, and in 2012, was appointed as the first National Director of the Minister’s Division of the National Action Network by Rev. Al Sharpton. Rev. Walrond also has a strong commitment to public, private, and higher education and currently serves as a Trustee and adjunct faculty member of Chicago Theological Seminary, in Chicago, Illinois. In June 2015, just last month, Rev. Walrond was chosen to spearhead the New York City Clergy Advisory Council by mayor, Bill de Blasio, where he is responsible for maintaining a direct line of communication between religious leaders and City Hall. A native of Freeport, New York, Rev. Walrond did his undergraduate studies at Morehouse College in Atlanta Georgia, where he earned a Bachelor of Arts degree in Philosophy and Religion. Rev. Walrond has a Master of Divinity degree with a focus in Theology from Duke University School of Divinity where he was the Martin Luther King, Jr. Scholar. Rev. Walrond served Duke University as the University Minister and Director of the African American Campus Ministry for eight years and as the Senior Pastor of Zion Temple United Church of Christ in Durham, North Carolina for seven years. He is a member of Omega Psi Phi Fraternity, Inc. and Morehouse College Alumni Association. In addition to his religious affiliations and community involvement, Rev. 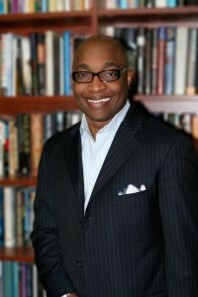 Walrond also serves as weekly columnist for the New York Amsterdam News. Rev. Walrond is married to the Rev. Dr. LaKeesha N. Walrond, who serves as the Executive Pastor of First Corinthian Baptist Church. They are the proud parents of two beautiful children, Michael III and Jasmyn Dominique.